These courses are for those who have never skied before or, at best, have only skied on Alpine slopes and never tried cross-country. 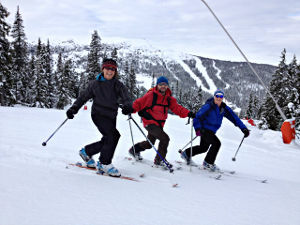 The emphasis is on the basic skills and techniques of classic (track) skiing, though the week will include a fair amount of ski touring. Our skills coaching courses are aimed at skiers who have mastered the basics of track skiing and are now looking to improve different aspects of their technique. The week will include plenty of touring over interesting terrain, and will also include ski skating. These are our most popular courses, so please book early. The week 17-24 February (Half-Term Week) is our Families' Week. The programme is especially designed for families and children. Children are grouped separately for instruction allowing adults to ski with their own instructor. However, families are then brought together for other activities later in the day. These may include: 'on snow games', ski orienteering, dog sledding and tobogganing. In 2019 this week is likely to be very busy. To avoid disappointment, and to get the accommodation you require, please book early! In 2019 we will be running a Telemark - Cross-Country Combi Week. 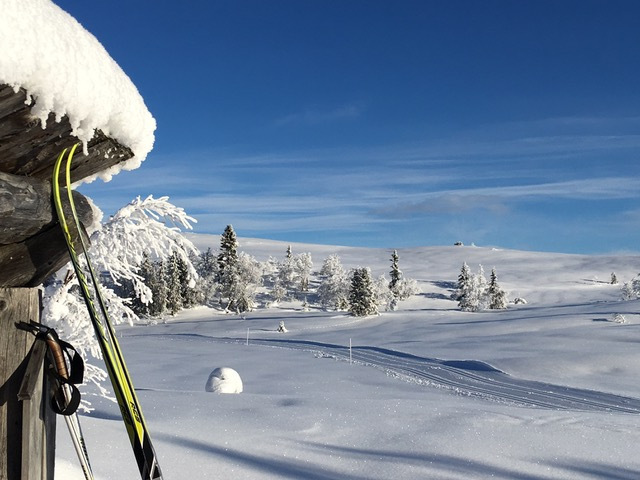 This will be organised by our Telemark Instructor Magnus Jeffrey and will provide skiers with a short grounding in Telemark skiing (three days) followed by three days classic touring. As well as being an exhilarating discipline in its own right, telemarking is the key to getting the most out of back-country skiing. This introductory course will introduce you to a new style of skiing that you may not have previously considered. Good quality equipment is available to hire; a lift ticket, which is not included in the quoted price, will be required.